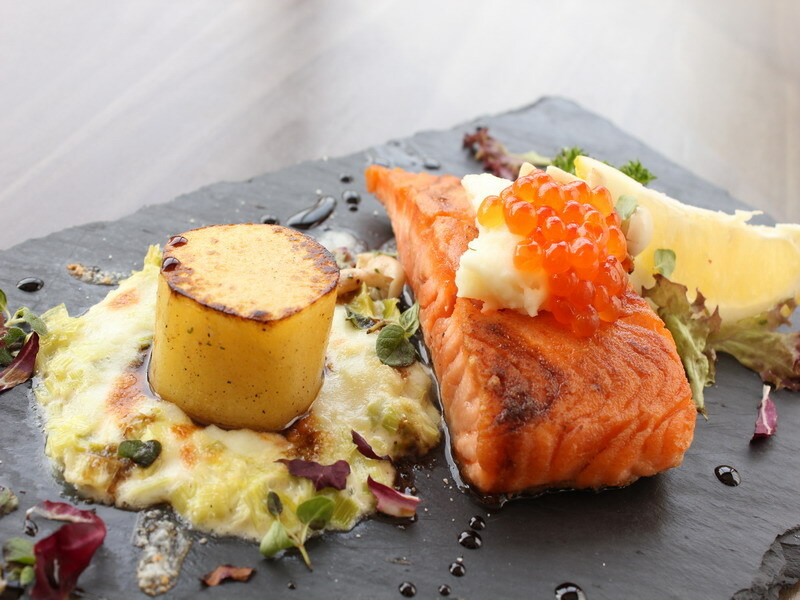 The Grand Fourwings Convention Hotel Bangkok, proudly to present our recommended dishes of “ Salmon Fillet with Hokkaido Uni and Creamy Leek Gratin " at Grand Café throughout May 2015. Delicacies the Pan – Seared Fillet Salmon Served on Top with Creamy Leek Gratin in special menus created by our Chef at price 600++ baht per dish. Serve for your lunch and dinner enjoyment. วันที่ 19 พฤษภาคม 2558 เวลา 11:28 น.